Hey there! Yes, I am still here. Happy. Busy, but the kind of busy that says, "I am having lots of fun." I have been enjoying having a full house, many plates on the table, around 25 eggs in the pan for breakfast, and lots of ice cream and Manchego cheese with crackers in the mid afternoon. All of these around pretty good, thoughtful and also hilarious conversations, long rides in the traffic of this big city, watching a movie in my room or playing "mafia" after dinner. Hospitality, my husband and I agree, is a gift, a wonderful gift for those who open their home to others. I am grateful to our God for the many opportunities He has given us to be blessed by those who have stayed with us, who have shared our table, who have blessed us and enriched our lives in so many ways. I have also found free time to read some good books, and that, of course, makes me very happy (especially because I have my oldest son around. He is one of my favorite people to talk with. I truly enjoy our meaningful conversations). So today I am sharing a few of the fiction books I have been reading with a note on why I consider important reading them (you can see the complete list of books I have read in Goodreads too). In the next days, God willing, I will share some books I have also enjoyed on art and culture, writing, and those that help us and challenge us to grow in the faith. Once upon a time I did not really like -or care- to read fiction. I was starving for spiritual food, and I thought reading fiction would be a waste of time. I could be reading something else, one more theological "meaty" piece. But as I grew stronger, I found friends and authors I highly respect, and even my own children -and their friends-, encouraging me to pick up some good fiction books. So I did. This year I have read more fiction than ever, and I am richer. It has not been a waste of time at all, as I used to think. I have learned more and grown more. I have understood how God, the Greatest Story-teller, builds our stories, some more complex than others, but all His and I am amazed. The Book Thief by Markus Zuzak. This is a great story, with great sentences, wonderful plot, and amazing characters that you grow to love page after page to the point that you cannot but cry with them. The author achieves what I believe is key to good story-telling: He brings you into the world he has created in such a way that you never feel like an outsider. You are in the scenes. You smell the stench, and feel the skin, you can taste the pea soup, the white painting, and the books in the library. A Note: Do not get the Kindle edition, get the "real thing." You would like to feel the book in your hands as you read it and trace its pages with your fingertips. I am serious. 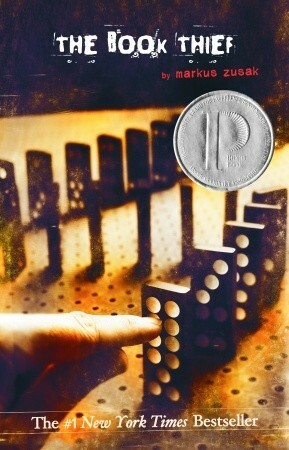 Why is it important to read The Book Thief? Because you will feel deep inside you -not only know in your head- the importance of books, stories, lives that come together in a minute and then fall to their knees and cry together when everything else has been torn apart. As some one has said, O'Connor's stories are "beautiful and grotesque." They plunged me into a reality that at times I wish did not exist. Her characters are real in the sense that you believe them; and each one of them tells us about the sinful, desperate, hopeless, and grievous state of men and women without Christ. Without the Gospel. I am so looking forward to read Mystery and Manners: Occasional Prose, which is a collection of some of O'Connor's essays and lectures which were edited and published after her death by her friends Sally and Robert Fitzgerald. Of course I will be reading more of her short stories as well. 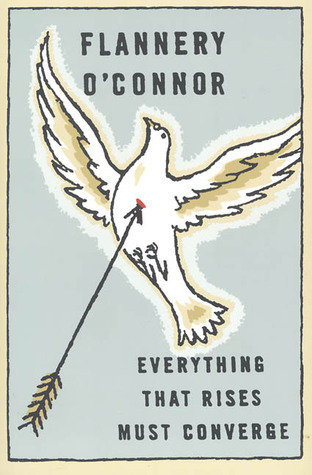 Why is it important to read O'Connor? If you are like me, you live -like to admit or not- in a bubble. Surrounded by Christian friends, a lovely church community, and a family that loves you. I need to read this so I won't forget what happens in the heart of men and women alike outside my bubble. What might be happening in the next door. And why not, what might be happening inside my heart even now that I was not aware of. The grotesque is there, in me and around me, and only Jesus can bring hope and redemption to the desolate soul. Now its time to take the buttermilk blueberry breakfast cake out of the oven and take a shower. I pray today that God will give us eyes to see beyond our circumstances and that He will help us understand how our lives are not isolated. We all are part of a great story, and He is the Author of it. He knows the ending and it will sure be good for those who are His, for those who love Him.